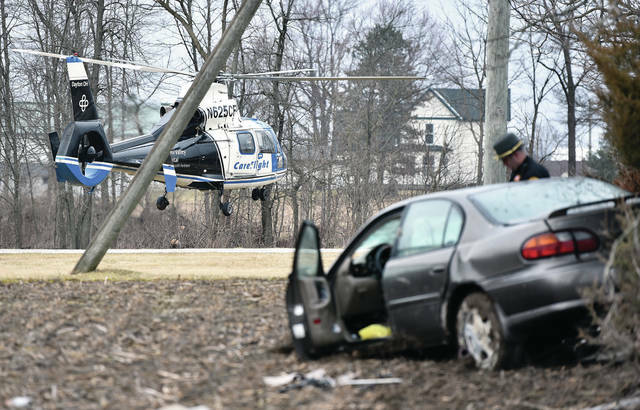 One person was taken by Careflight to Miami Valley Hospital, Dayton, after a car left the road on the 6000 block of Wright Puthoff Road crashing into a tree which ripped off the car’s engine around 5:30 p.m. Sunday, March 24. 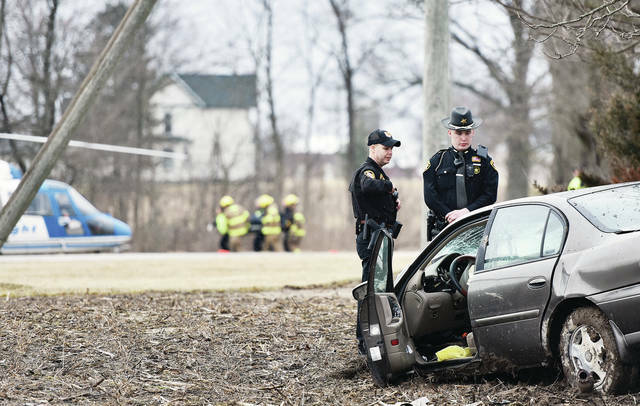 Two other people in the car were transported to Wilson Health. Two of the people in the car were ejected during the crash. 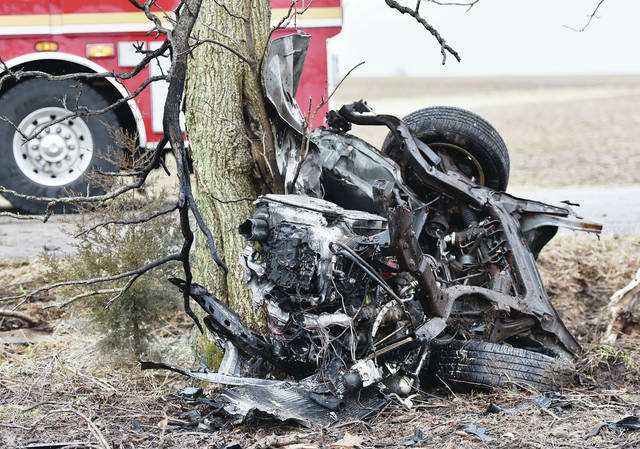 The Shelby County Sheriff’s Office is investigating the one-vehicle crash. 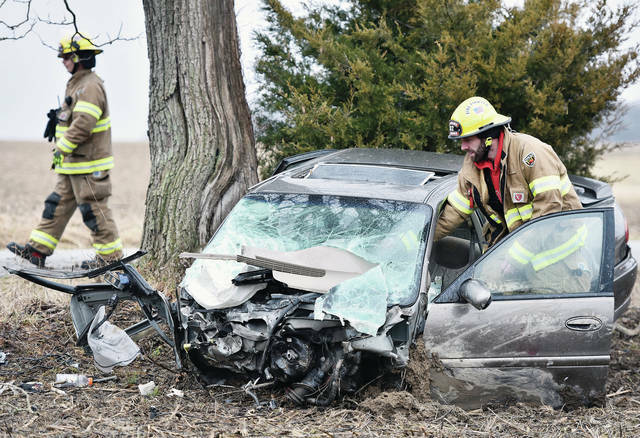 The Fort Loramie Fire Department and Fort Loramie Rescue responded to the scene.